Mercedes-Benz A 250 ///AMG / GCC / 2018 / WARRANTY APRIL 2023 / FREE SERVICE CONTRACT / ONLY 1,725 DHS MONTHLY!! Automatic Mercedes-Benz A 250 with 18 inch wheels, air conditioning, climate control, grey/silver on the outside, black interior. 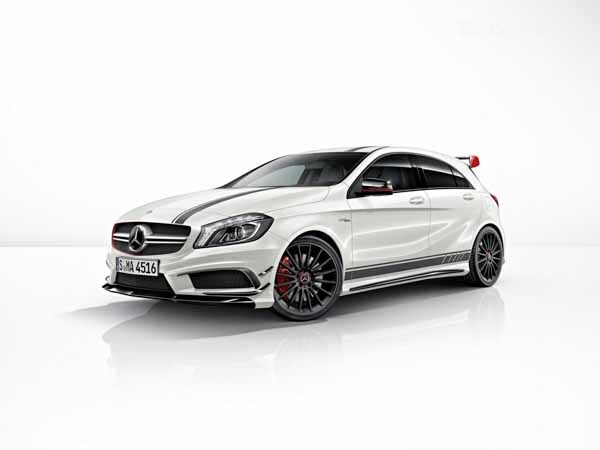 GCC spec Mercedes-Benz A 45 AMG with Premium sound system, 19″ wheels and Climate control. Price reduced! 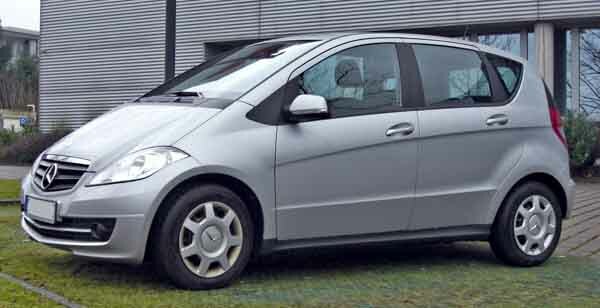 GCC spec Mercedes-Benz A 250, blue hatchback with grey interior. It features keyless go, 10 inch wheels and parking sensor rear. Price: AED 63,000. 2015 Mercedes-Benz A 45 AMG with Analog clock, 18″ wheels and Navigation system. Price reduced! Mercedes-Benz A 45 AMG with many features, including CD player, moonroof, sunroof. White with black interior. 2018 Mercedes-Benz A 250, priced at AED 173,250, with features such as ABS, LED headlights, cruise control. It has black interior and is Grey/Silver. GCC spec. Reduced price! White Mercedes-Benz A 250 Sport 2.0 from 2016 with black interior. Mercedes-Benz A 250 Sport Saloon with AMG body Kit SPECIAL OFFER! GCC spec Mercedes-Benz A 250 with Leather seats, 19″ wheels and Paddle shifters. Price reduced! 2017 Mercedes-Benz A 250 with Power windows, 18″ wheels and Power locks. Price reduced! Reduced price! Grey/Silver Mercedes-Benz A 250 RIGHT HAND DRIVE PETROL EXPORT ONLY from 2014 with black interior. 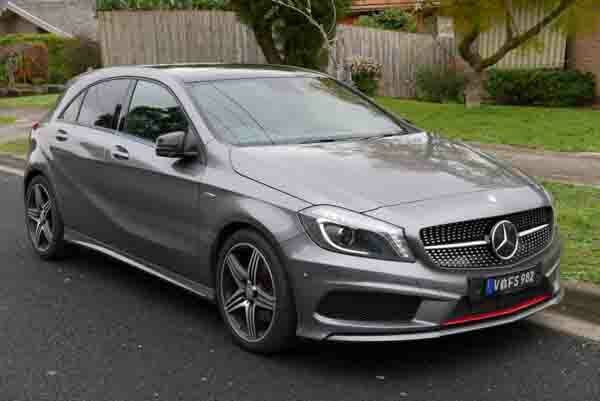 2018 Mercedes-Benz A 250 black hatchback, red on the inside with power seats with memory and power locks. 19″ wheels. AED 178,500 for this GCC spec, white 4 cylinder hatchback with black interior. It has alarm and sunroof. David - My import second hand A45 AMG is an incredible hot hatch with lots of power, options and in the corners, it’s so easy to handle. Looks good as well to complete the package. Pros: Handles great and looks good. Florian - I’ve had a 2000 used A 180 for some time now, while it’s not the best looking car, it is light on the wallet and parking is very easy. Great cars to buy for first time drivers. Pros: Easy to park in Dubai. Cons: Options can be expensive. Mahmoud - Pre-owned A 250 Sport is the perfect car. Good on fuel, good choices and seats are comfortable. Put the vehicle in sport mode and watch it fly! Pros: Looks good and economical on fuel. Small and easy to park, especially the older generations. New age power. Latest generations have the A 45 AMG equipped with a 4-cylinder turbo engine and all-wheel drive when combined they create quite the package. Fuel economy is fantastic as they are all 4-cylinders. The A45 AMG may get thirsty at times. However, the rest of the lineup is kind on one's wallet. Later models have great options as standard. Pre-2012 models were a bit bland and didn’t impress much, but post-2012 models have got some real style to them. Rolling into showrooms in 1997, they took over from the C-Class as the entry-level vehicles in the Mercedes-Benz line up. Although they weren't popular here in the UAE around the world, consumers just couldn’t get enough of them. Larger than the Smart car, the A-Class was easy to park and good on fuel economy. Space may have been a bit of an issue, however, at the end of the day, it’s a Mercedes. Out on the road rivals include the BMW 1-series, Mini Cooper and Volkswagen Golf. 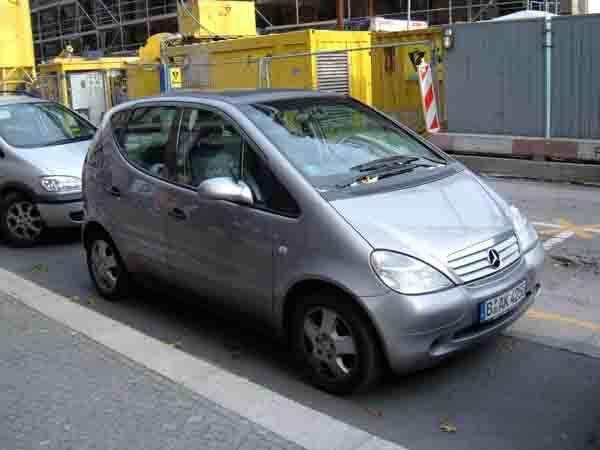 With a round shape, this hatchback hit the streets of the main cities everywhere. Fabric seats, radio tuner, came as standard with optional extras including a CD player. A minor facelift arrived in 2001 and added a slightly altered front and rear bumper and an additional 170mm to its wheelbase. All models are powered by a four-cylinder engine with a displacement of either 1.4, 1.6, 1.9 2.1-litre petrol engine driving the front wheels. Power is sent via a 5-speed manual or automatic. Second generation A-Class models are slightly less round than previous models and feature new head and tail lamps, new body and is now constructed of high-grade steel alloy for added protection. Handling was drastically improved with new models. A two door model is also available in these years. With a much smaller wheelbase, rear doors are removed which means lighter cars but less space. Multiple airbags are were added as standard as are fabric seats, CD player, basic power accessories, traction control, ABS and ESC. Bluetooth, cruise control, climate control and power seats are available as extras. 2008 saw the hatchback received a mid-life facelift. As always, new bumpers and lights were added to both the front and back. Additional options now included Active Park Assist and stop-start functions. All previous engines are dropped and are replaced with; 1.5, 1.7 and 2.0-litre engines are the three on offer. Entering its third generation, a complete body redesign is present which brings the hatchback into a new era. The two-door hatch is dropped and with only the four-door remaining. The interior is completely re-worked for a more dynamic user experience with standard features including fabric seats, powered accessories, climate control and USB inputs. Optional extras include a rearview camera, keyless go, sunroof, metallic paint, high-end speaker system and AMG package. 2013, introduced the world to the A45 AMG hatchback. With a turbocharged 2.0-litre four-cylinder petrol motor, power is sent to all four wheels via a 7-speed automatic transmission. A45 AMG models are equipped with leather and alcantara seats, navigation, Bluetooth, sunroof, rear spoiler, reverse camera, parking sensors and performance tyres. Other models in the lineup including the A 180 and 250 models are powered by either a 2.0-litre or 1.6-litre motor powering the front wheels via 7-speed automatic or optional 6-speed manual. A 250 models are available in standard and Sport models.